Flex-Foam - 2 SIDED FUSIBLE - 20" x 60"
Pellon® Flex-Foam 2-Sided Fusible is a lightweight one-sided fusible stabilizer consisting of a layer of foam sandwiched between two layers of soft fabric. It is excellent for use in crafts, accessories, and home décor projects for an elegant finished look. It can be used in place of or in addition to other stabilizers. 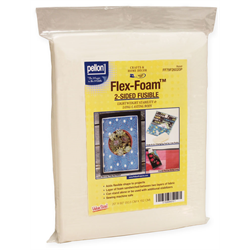 Flex-Foam is 100% sewing machine safe and adds shape and body to projects such as computer cases, eyeglass cases, purses, tote bags, cup holders, diaper bags, and more! 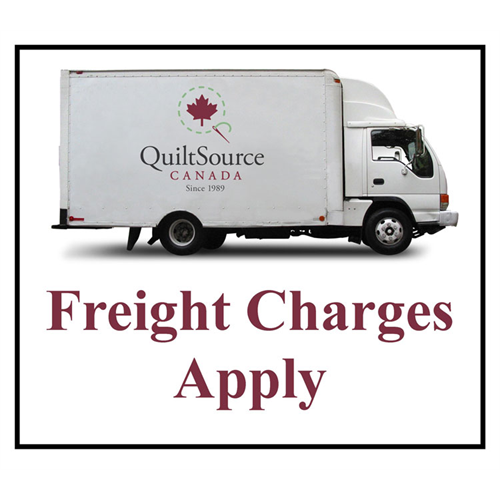 It is compatible with a wide variety of fabrics. - Machine wash warm on gentle cycle, tumble dry low or dry clean.